The elation lineup is one of Athleta’s newest additions to their Powervita collection. 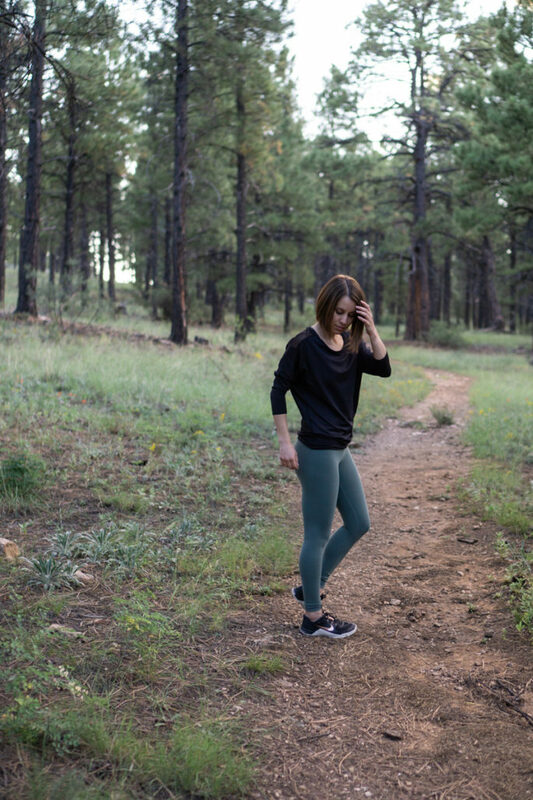 The elation leggings are designed with simplicity in mind, forgoing any decorative seams or extra elements. I went a little crazy and bought these in three colors: two pairs of capris and one pair of 7/8 tights. I ended up returning one of the capris, dark may rose, but I kept auberge and maritime pine. They’ve recently released a black and white striped pair too, which I’ve got my eye on as well. I don’t normally wear a lot of green, but the maritime pine drew me in. It’s a soft shade of sage, which is a cooler, greyer green rather than a deep, foresty hue. Besides black, it looks beautiful with rich colors like deep purple, wine, and navy. I purchased size XXS in both pairs, which is my normal size in Athleta, and they fit like a glove. I consider them true to size. The rise is high and comes up just slightly below my belly button. The rear rise offers plenty of height for good coverage even for fuller hips. At 5’3″, the capri version lands a couple inches above my ankles while the 7/8 version is a full length legging with a bit to spare. The fabric is extremely flexible and comfortable to wear and offers light compression. They feel like a nice hug on your legs. The fabric has a smooth but plush feel, adding to the hug-like feeling, not quite slippery and definitely not plasticky. The finish is matte with no sheen. The simple design, matte look, and superb comfort make these ideal for mixing in with your casual outfits without looking too much like you’re wearing workout wear. In terms of fabric overage, both pairs are quite good, but there can be a very slight amount of show-through in a deep bend or squat. For that reason, I prefer dark or skin-colored underwear with these. Take note that the fabric is fairly clingy, which means underwear lines are something to look out for. The darker colors, like the auberge pair, are better for both coverage and hiding VPL. Coverage was the main reason I returned the dark may rose capris; I found them to be just a little more revealing than the other two pairs. Elations are slightly thicker with some compression while aligns have zero compression. Aligns have an angled waistband seam that dips low while the elation waistband seam is flat and slightly higher. Elations have a seam at the top of the waistband while aligns have a one-piece waistband with no seam at the top. 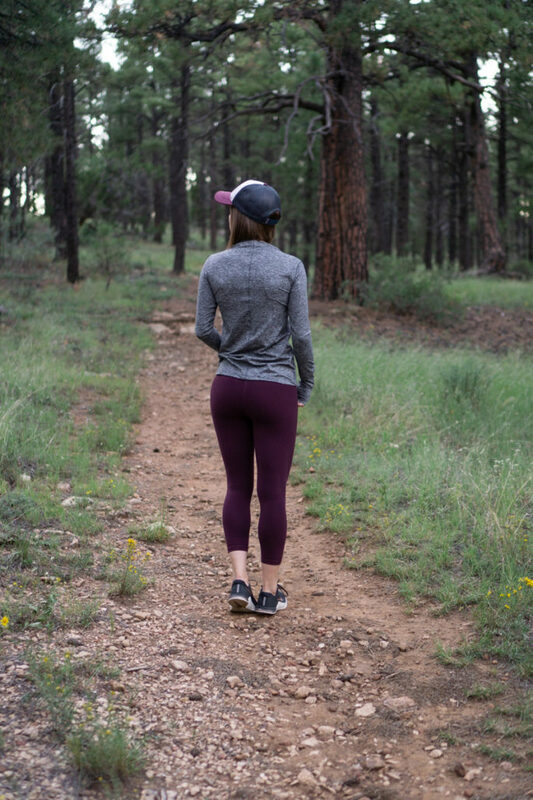 Align crops fall an inch or two shorter than elation capris. Elations are $9 cheaper than aligns. 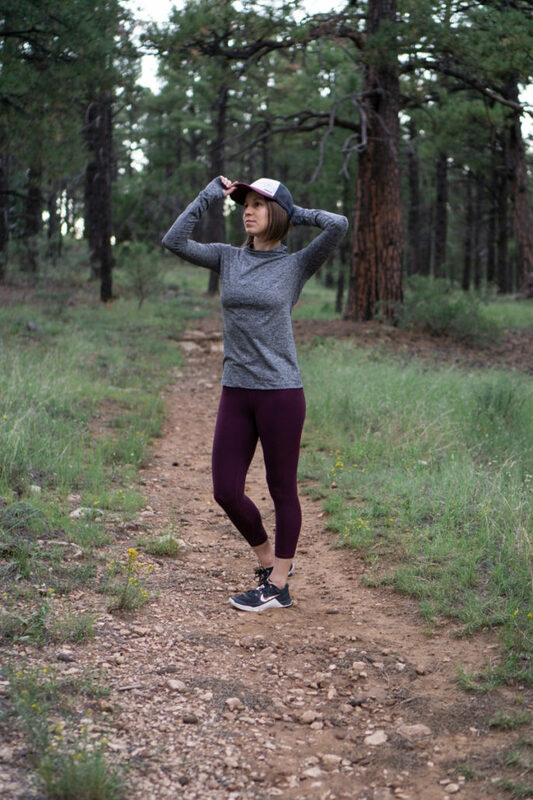 The Powervita line, including elations, are marketed primarily as lower-impact yoga leggings, which they’re definitely perfect for. Both pairs of my new elations came with me on a hiking trip to Washington. I wore them on the plane as well as many miles of hiking, and they were fabulous for both. Since then, I’ve also put them to the test at my aerial silks classes. I’ve been really happy with how they move and feel for all of those activities. If you’re a fan of Athleta’s other Powervita styles or a fan of lululemon’s aligns, I bet you’ll like the elations, too. Athleta is consistently hitting home runs on product; I’ve been super impressed and have bought quite a lot! Would love for you to do a review on their new run tights if you’re able. The fabric seems to be similar for Lulu’s Nulux? i loooove the pine green! i’ve a few pairs of their salutation 7/8 tights and love them, so i feel like these would be great too. it seems like the elation fit a bit longer though (from what i can tell via your photos!). i’ve never worn powervita for a intense workout before though, so i’m curious about how they would hold up under those conditions, since i don’t need that many pairs of lounge/yoga leggings! I wear powervita for intense workouts (Orangetheory, HIIT classes) all the time and they work great for me! Yes, compared to my stripe salutations, which are also supposed to be 7/8, these do fit longer. They’re listed on the site as having the same inseam, but these elations seem to stretch a bit more vertically since I have a little ankle scrunch to spare. I bought the black/white stripe last week. I love that the lines are aligned properly. I also liked my squat test and the compression in the powervita fabric. At 5’4″ the 7/8 are the perfect full length pant with as you say a bit to spare. I thought the stripes elongated my legs as well. Athleta is having 20% off family and friends sale. I am definitely picking up the stripe contender tights. I have several of their pieces – powervita leggings, karma cozy (?) dresses, and studio wrap. I still prefer Lululemon especially when they get it right. Fyi the new Uplifted Elations forgo the top seam around the waistband and have a bonded ankle hem for an even more seam-free experience. Thanks for pointing that out! I was wondering what the differences were. I’ll have to give those a try when a color catches my eye. I know I’m the absolute last to decide I’m interested in Athleta, but I stopped into a store today and was totally wowed. But the prices – higher than I expected! Is this a place where I should always wait for a sale/promo code, or is it more like Lululemon in that sales are rare? They definitely do promos periodically and they have good sales. Discounts on full-price, current season stuff probably happens once a quarter or so, then they have the usual end of season sales or closeouts on past season colors. That said, sometimes things do sell out, so if there’s a certain style or color you *must* have, that’s when it can be worth paying full price. But if you’re not picky, definitely wait if you want to save some $$! And if you didn’t already know, you can get 20% off a full-priced item when you sign up for their emails.